The new Barbican shop in the ground floor of Lauderdale Tower. 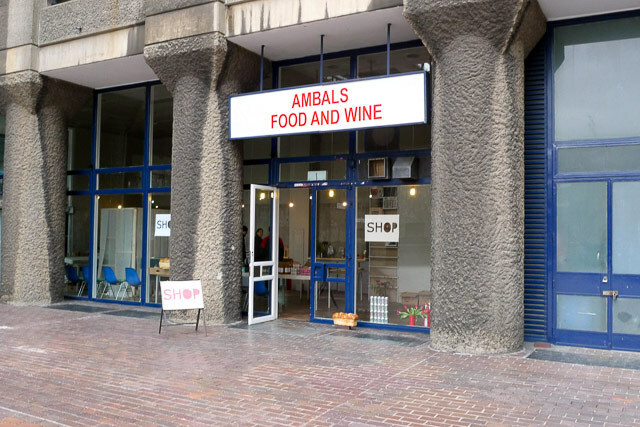 Previous tenants in this unit include Crispin's and Ambal's Food & Wine, the sign for is still in place. The ground floor unit in Shakespeare Tower. It originally opened as Butlers, a wine bar (the logo is still etched onto the glass). Later it became PInxtos, a tapas bar. It is now an architect's office. Frobisher Crescent. The architects envisioned it as a small shopping mall. But the shops never came, and it is now offices for the Arts Centre. A sign on the estate. Crispin's Supermarket is no longer in business, nor is Pinxtos, whose name can just be made out in the top slot. 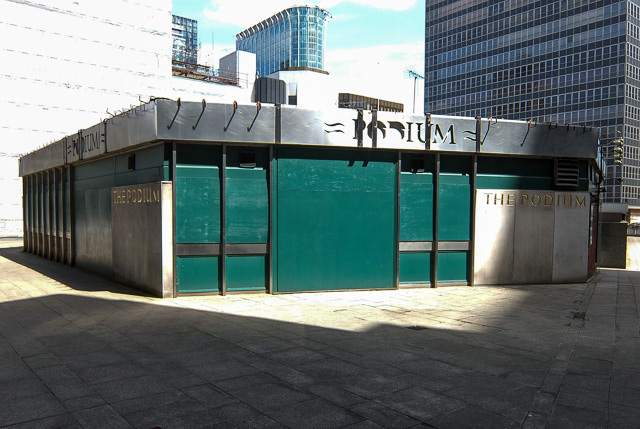 The Podium, a former pub on St Alphage Highwalk. Here's what it looked like when open. 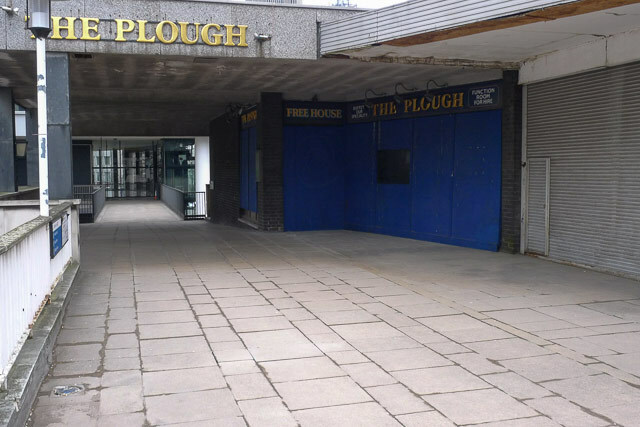 The Plough, on St Alphage Highwalk. Another clothing store on St Alphage Highwalk. 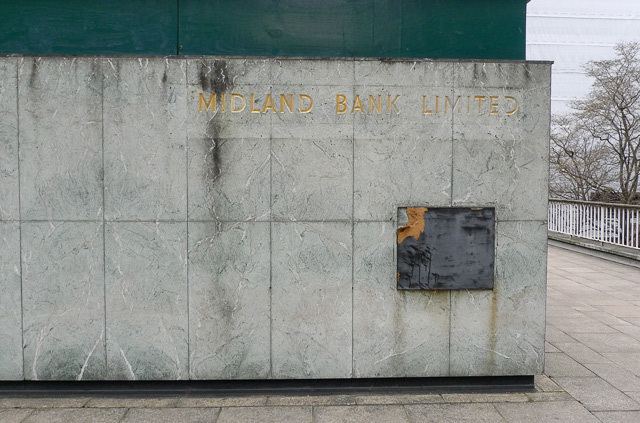 The sign still lists the telephone number with the old '01' code. 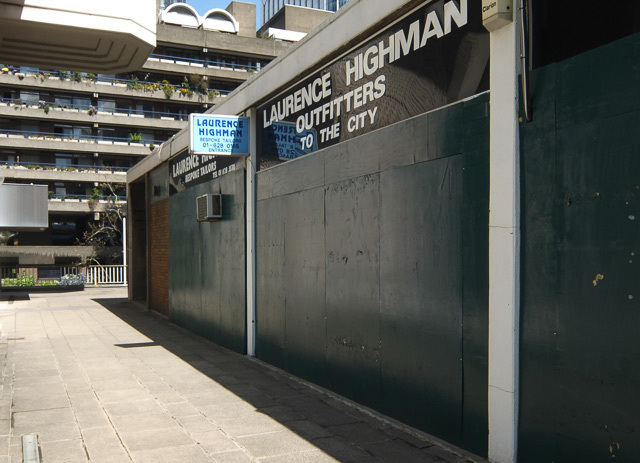 A couple of months ago a new shop opened in the ground floor unit of Lauderdale Tower, one of the skyscrapers on the Barbican Estate. 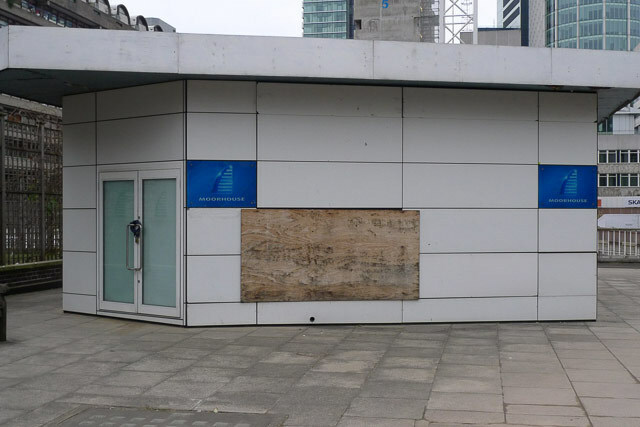 An unremarkable news item, perhaps, were it not for the fact that businesses on the Barbican aren't usually very successful. It wasn't supposed to be this way. 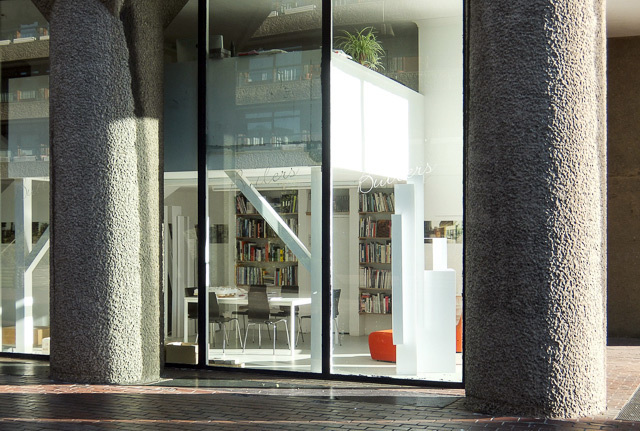 In his book Barbican: Penthouse Over The City, David Heathcote notes that one early plan called for a number of shops on the estate, but this was rejected as it was felt they would be "alien to the quiet and sense of seclusion which should be characteristic of a residential neighbourhood". 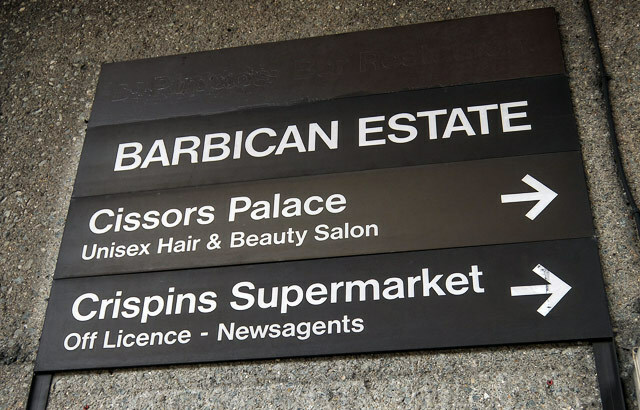 The Barbican's architects, Chamberlain Bon and Powell, envisioned shops, pubs and restaurants all across the estate, serving the needs of more than 5,000 residents. They also designed Frobisher Crescent, to the north of the Arts Centre, as a miniature shopping mall; this vision was never realised and the units are now offices. 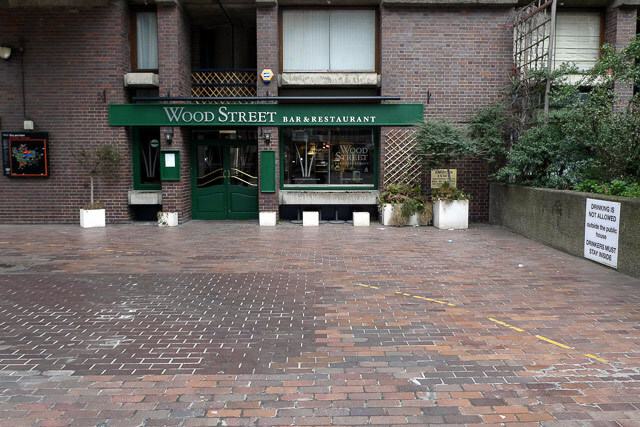 According to the website Barbican Living, the firm also predicted that the complex would "need up to 5 public houses”; it now has none, save for City Boot near Moorgate station. 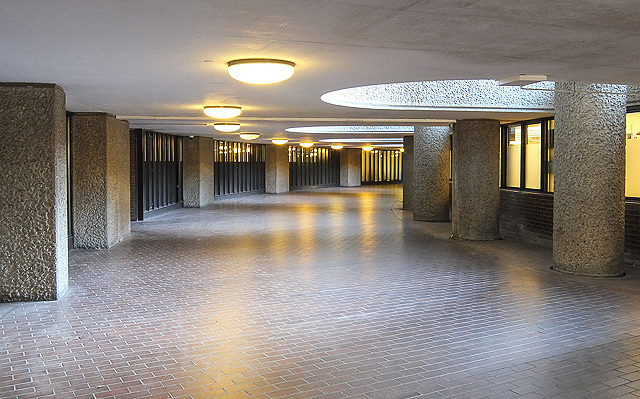 The malaise extends to the St Alphage Highwalk to the southeast of the Barbican estate itself. 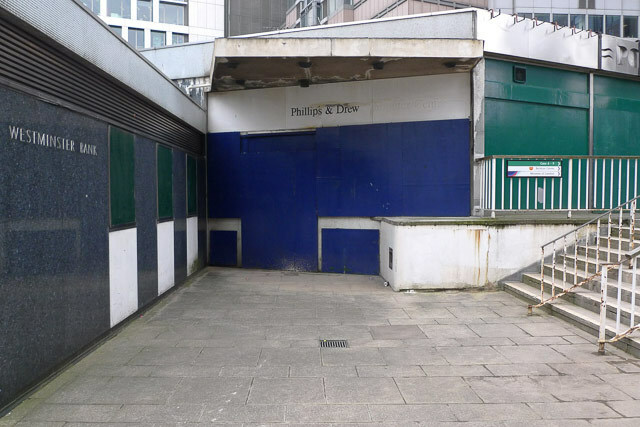 Two former pubs — the Podium and the Plough — stand here, boarded up and unloved, and the remains of a clothing shop, banks and a Korean restaurant are also extant. 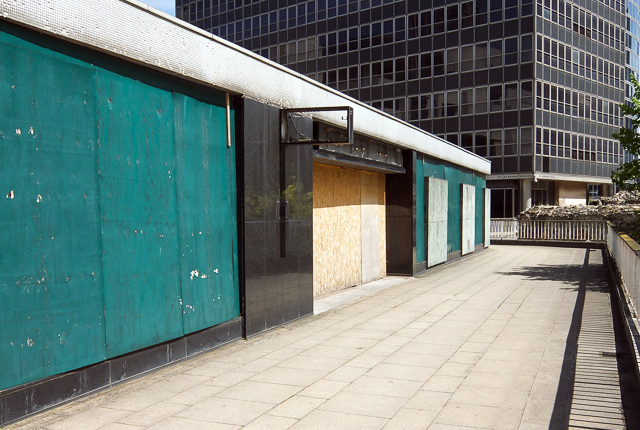 Much of it was closed a few years ago to make way for a development that stalled in the wake of the 2008 financial crash. The area is dominated by a skyscraper (unfairly dubbed one of the area's ugliest) which is also due for demolition. A new development is set to be built here, one that will retain the highwalk but not much else, but many of the old buildings will be demolished. Take a walk around before it's gone.